This March, we celebrate Women’s History Month by spotlighting some of the most iconic characters and creators from the Marvel Universe. Did you know that one of Marvel’s most prominent characters almost didn’t get created? See, back when Brian Michael Bendis and Michael Gaydos were trying to figure out the 2001 series called ALIAS, the writer intended on using an existing character in Jessica Drew. However, when that proved unworkable, they created a new one by the name of Jessica Jones! 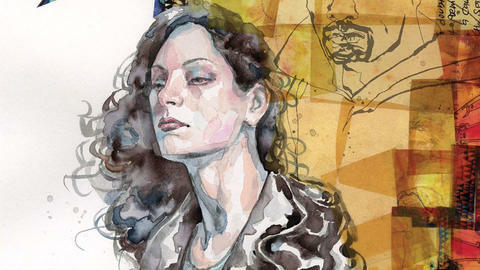 In that first ALIAS issue, readers met a woman named Jessica Jones who clearly had been through a lot in her life. The hard-boiled private detective they met cursed like a sailor, drank till she passed out in bars and tried to do the right thing even when the odds seemed fully stacked against her. In the first arc, Jessica took on a job to find a woman’s sister who wound up dead not long after the PI found her. In the process of tracking the woman down, Jessica also accidentally recorded Captain America’s secret identity and became a prime suspect in the murder case. The Marvel MAX series tackled some intense ideas and themes, especially when it came to The Purple Man and his role in making Jessica give up her superhero identity. It also established the relationship between Jessica and Luke Cage. The two have since become one of the more stable couples in comics with Jessica giving birth to their daughter Dani. ALIAS ran for 28 issues and came to a conclusion in 2004. 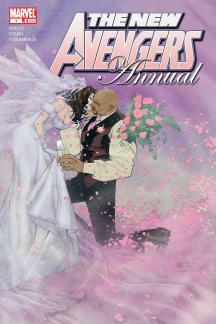 At that point, Bendis and a variety of artists moved Jones over to the world of reporting – and pregnancy – in THE PULSE which ran for 14 issues. After marrying Cage in the pages of NEW AVENGERS ANNUAL #1, Jessica and her husband decided to actively work against Iron Man’s Pro Registration side, teaming up with Captain America and aiding him as seen in the pages of NEW AVENGERS. For a time, Jessica even returned to her superhero roots, going by the name of Power Woman, but ultimately realized that living in Avengers Mansion offered far too many dangers for her beloved daughter and they left, though they she would soon return when Luke formed the Mighty Avengers. 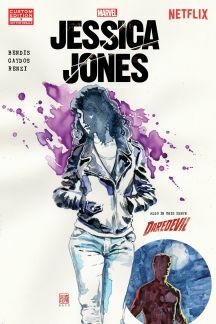 These days, in addition to headlining a Netflix show, Jones also stars in a self-titled series by her creators Bendis and Gaydos. In creating a brand new character, Bendis still firmly rooted Jessica Jones’ origins in the existing Marvel Universe, though ALIAS readers had to wait a few dozen issues to discover this. She actually attended high school with Peter Parker, but missed the day he got bit by that infamous spider because she was on her way to Disney World with her folks. That car trip ended abruptly in a crash that killed her parents and left her in a coma for a while, bu also granted her super powers. She eventually took on the Jewel identity to fight crime after seeing Spider-Man do the same. Years later, when Spidey unmasked himself as Peter Parker in front of Jessica and the other Avengers, she was appalled to discover that he never once recognized her from their years of school! Making matters worse, he referred to her as “Coma Girl,” a revelation that did not gain the Wall Crawler any points. Writer Kelly Thompson and artist Mattia De Iulis try to fill in the indigo-colored blanks! From PVC Dioramas to Statues, Diamond Select Toys has several awesome new Marvel items on the way! In Need of Some Last Minute Marvel Halloween Costumes? Our Earth's Mightiest Show hosts break down some DIY Halloween costumes!